"In the dominant role of Andromède, Jana McIntyre combined a dancer’s grace, mercurial wit and a vibrant soprano tone." 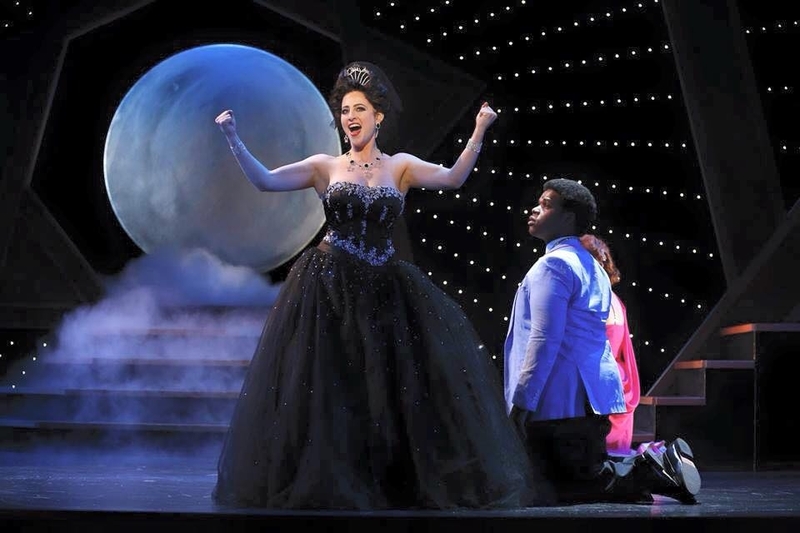 "Jana McIntyre consumes the stage as Andromède. Her lovely voice, with a slight French accent, reaches high and low comfortably. The challenges of the role are not perceptible because McIntyre has thoroughly mastered difficulties and made them pleasures." "‘PERSÉE ET ANDROMÈDE’ With this loving excavation of a largely forgotten 1921 one-act by Jacques Ibert, April gave audiences an entirely fresh experience. In this case, that provided what was likely the American premiere of a glowing mini-masterpiece, fitted with a talented cast and a lithe, delicate orchestral performance led by Pierre Vallet." "...Opening with a quivering depiction of a maritime dawn and dotted with impassioned yet lucid, classically balanced monologues for its soprano star, the lithe, autumnal score anticipates the late Strauss of “Die Liebe der Danae'"
...flittering, glittering set of ringing high Fs..."
"McIntyre went on to sing an explosive Zdenka." her bright and liquid coloratura."